It's just a silly little site. One that is probably anticipated for Facebook users and a way to post. It helps create your own personal snowflake. I guess it goes with the Winter Solstice, no? 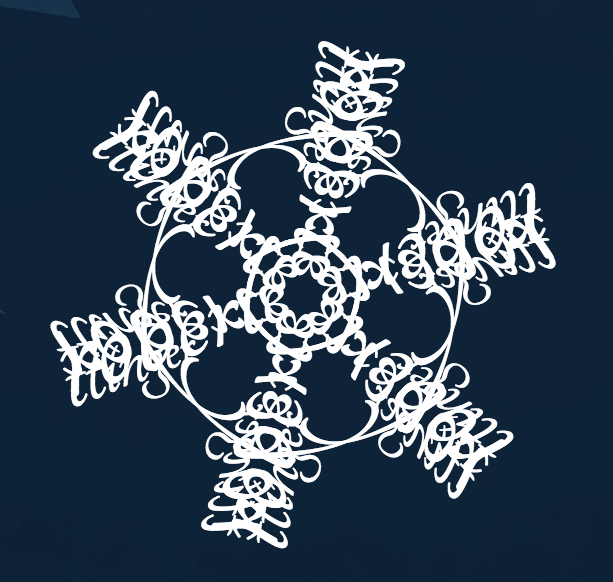 I thought it would be a random snowflake thingy and it is. I put in my name. I put in Blobby. Then put my name back in. But my second real name snowflake was the same as my first real name one. And the Blobby one was different. I mean, there's nothing much to do with it. Except post it to Facebook..........which I did not. Welcome to Winter, folks. Let's hope we don't see too too many of these snowflakes. Oddly, we've had much more snow in November than we have so far in December. Only four more months to go. Three, if you want to be technical. I am quite happy to keep winter around for as long as it wants to be.